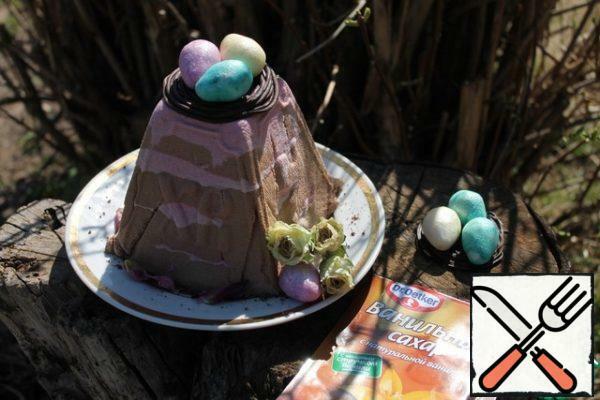 Let's prepare Easter cake. Here is virtually the entire set of products that we will need. 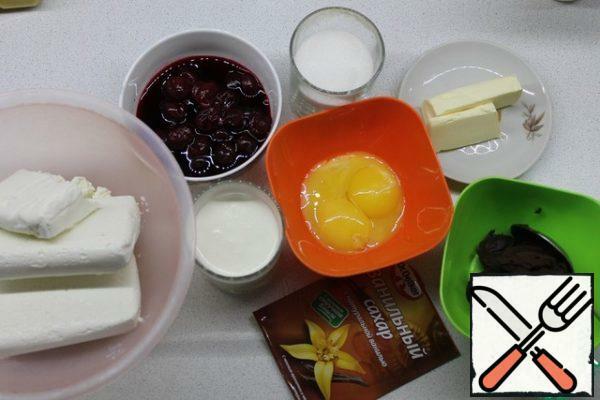 The cherries need to remove the stones, and cream to remove while in the fridge. 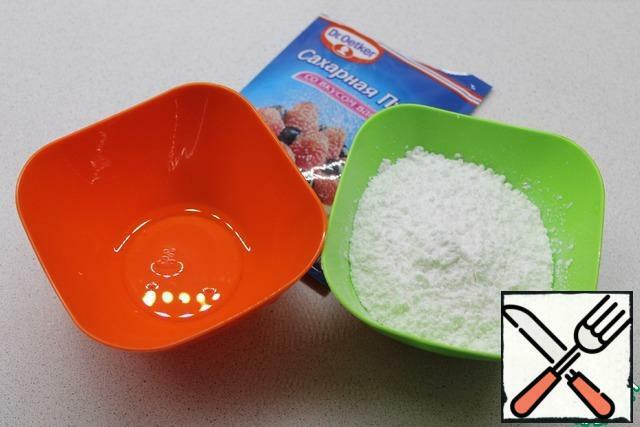 To cottage cheese add yolks, sugar, oil. All mix thoroughly and beat with a mixer. To cherries add vanilla sugar and starch, stir. Shift the curd mass into a saucepan and put on a small fire. Stirring constantly, bring the mixture to a boil and warm for 3 minutes, not allowing to boil. 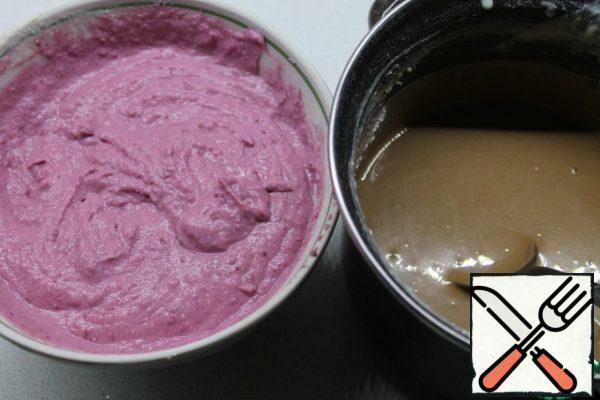 Remove from heat and break the blender. Cherries carefully grind the blender and boil on low heat for one minute until thick. Let everything cool completely. Curd mass is divided into two equal parts. One add the melted chocolate, the other cherry blend. 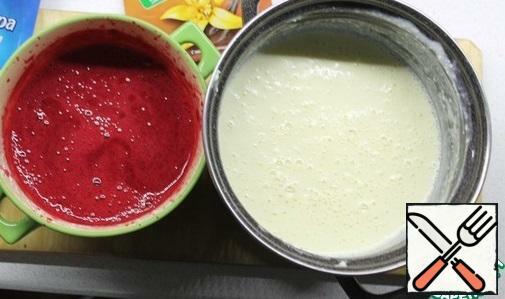 Cold cream break to sustainability, equally add to the finished mass and mix. The form for cake to make a clean gauze in 2-3 layers and put in some Tupperware. Alternately spread the mixture with a spoon to avoid voids. 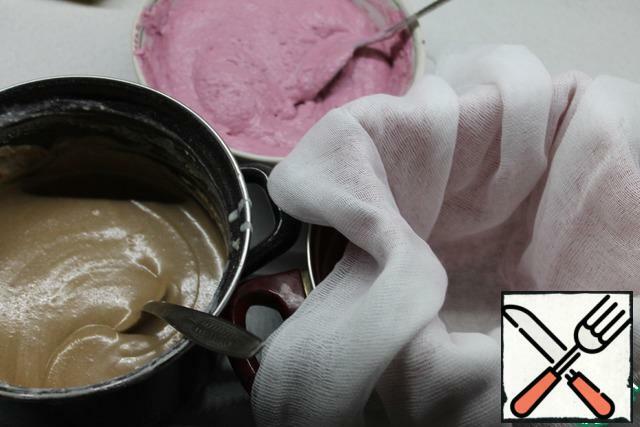 Cover the bottom with gauze, you can put a little oppression and put in the refrigerator for the night or day, periodically draining the dripping serum. 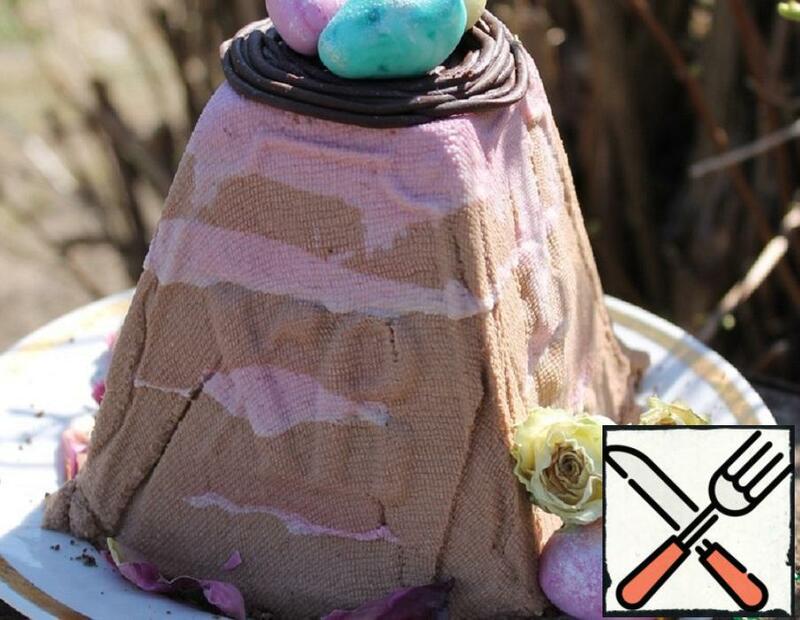 If you want to decorate your Easter cake as well as I do, for this we need to prepare in advance sugar eggs. For this you need to measure out 10 grams of protein and 110 grams of powdered sugar that you have to sift through. Gradually adding powdered sugar, knead the dough. It should be plastic, do not crumble and do not stick to your hands. It took me 95 grams of powder. 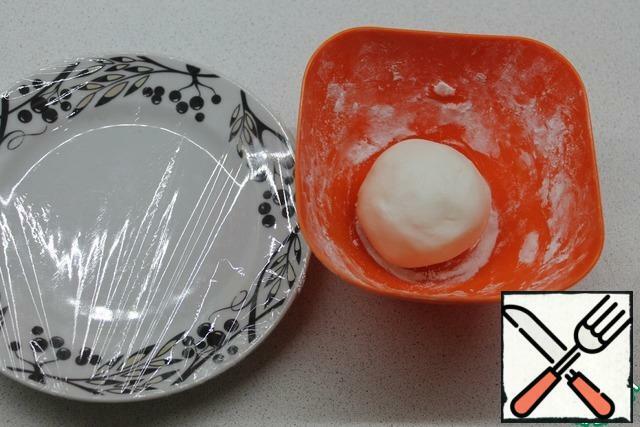 Tighten the plate with cling film. 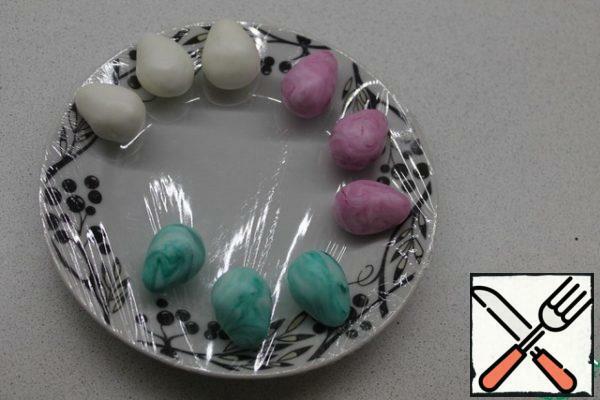 Form a from the resulting masses eggs (as quail), three I made simply white, and in two other parts of added lilac and turquoise dyes. Blanks should be allowed to dry completely (about a day in a warm dry place), and then you can decorate with silver or gold. 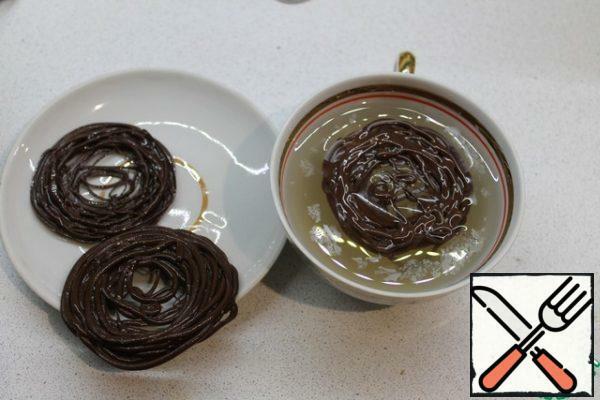 For chocolate nests chocolate should be melted, put in a bag and cut a small corner. Vodka pre-cooling in the freezer so it was ice cold. 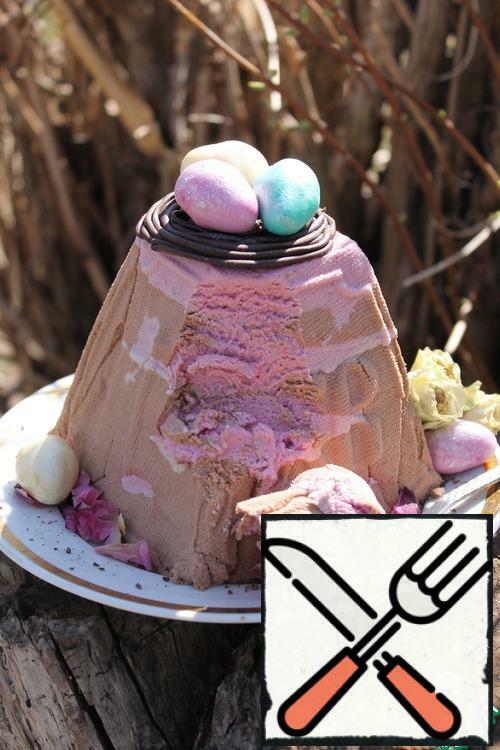 Then pour it into a form suitable in diameter to the top of your Easter, and quickly squeeze the melted chocolate in a circle directly into it. Get nests and allow to dry. 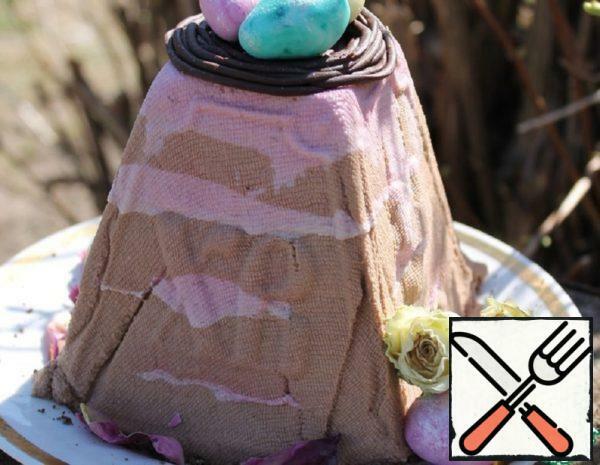 Easter ready to get out of shape on a plate and decorate prepared decorations.